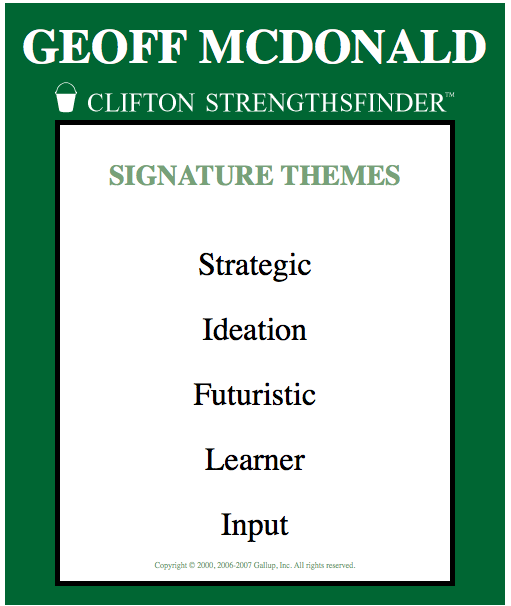 Project Done was created by Geoff McDonald to solve his own challenges around finishing projects. At one point, he found over 25 half-written and unfinished books on his computer. Geoff is a former architect, the author of nine books (including Done and Weekly Done – which are based on his research for Project Done), international presenter – including Australia, the US, Canada and New Zealand, master coach and sports nut (he thinks the best tourist attraction in his hometown of Melbourne is anything at the MCG – the football stadium). Geoff is perhaps best known as the creator of the visual book summary service Book Rapper and has blogged over 1000 articles and published over 100 podcast episodes over at his home base: GeoffMcDonald.com. 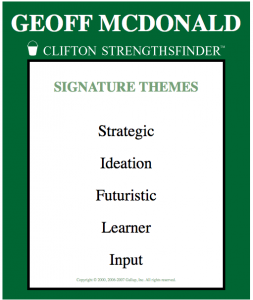 His strength finder profile says he’s great at strategic thinking – thus Project Done is his strategy for getting important things done when the usual ways (for left brain task focused people) don’t work.